My personal opinion (as the author of this article) is in [square brackets] in order to make the difference between my words and our group members’ personal stories. I hope this article answers a lot of questions asked throughout the years and especially for the past three months, since I created the Honey and Cinnamon Drink group. Hi guys, I have been drinking it for three months. My weight goal is 65kg. Yes I have lost 5kg. I had 76kg when I started and currently I have 71. I did it for 2 weeks and lost 7 pounds. But also I was eating a little healthier. And no food after 6 pm. Saturdays and Sunday I cheated and ate some good Latin food rice bean etc good luck to all . I haven’t been drinking it long but I felt like more than losing it is helpful in preventing gaining. Before the drink I was on the 13 day diet and lost about 10 pounds. After the diet I was starting to gain back and started this drink and the weight gain stopped. Is there any positive feedback of losing weight with Honey and Cinnamon drink? * It kept me from catching a cold everyone in the house had. In the last month or so my husband and parents started drinking it also. Dad said -when I wake up early I get up, because I feel good drinking that drink. [lost] 8 lbs. I am most impressed with how much it helps the immune system. Last week my son caught another cold, my daughter caught it also. My husband and I both, thanks to the honey and cinnamon drink, didn’t catch it. The kids are pretty much over it now. I’ve lost 8 lbs, and have kept it off. It curbs my appetite for sweets. I don’t seem to eat as much and I have more energy. I’ve been doing it for a while. I didn’t have a lot of weight to lose. It definitely helps me stay on track. I’m checking with a store this week to see if they sale Ceylon. I have a disorder that leads to diabetes and I can see where it is helping with that. Yes, I never want it and I believe it will help me so I don’t ever get it. I bought some Ceylon at a health food store today. I’m anxious to try it. I noticed weight loss in my face, stomach and in my clothes first, before I saw in pounds. I have had great results so far. I haven’t been sick since I started using it months ago. I’ve lost weight, feel great and can tell it curbs my appetite. My family has had a couple colds and the 12 hour flu. I haven’t had any of it. Thank you for adding me [she means adding her to the group], I don’t know much about the dynamics of this drink but all I know is I have done it for 2 nights straight and each morning I have been down a pound so maybe there is something to this drink! I have been on it for 2weeks and have lost 2 lbs is all. But it does seem to give me more energy, and I will continue to use this. I lost 4 pounds first week, then gained 2, then lost one. Not sure if it’s water weight but seems to me it might very well be. Lost 1 lb in two days. Honey and Cinnamon Drink – Does it really work? Yes it does for sure. Okay, almost at the end of my first week. It will be a week on Sunday. I was wearing size 14 pants, I don’t like them tight. I was in need of another pair this morning and haven’t done the laundry yet. For the heck of it, I iron a pair of 12. Was able to wear them, a little tight but at least I was able to hook and button them! I have also been watching my carbs. You can find the right Cinnamon at a health food store. Hoping only by drinking cinnamon tea [Honey and Cinnamon Drink] to lose weight might be too hard … I drink cinnamon tea and control calories intake, it helps. I continued with the drink because of all the health benefits the ingredients carry and added lemon juice and Apple cider vinegar to it. I continue with the drink because I really like it and I have not felt as good as I do now in years! My energy level is up so my metabolism has kicked in and working like it should be, so I started with a 4 minute turbulence training workout and now I’m running again so yes due to this the weight is coming off! I see a difference in my overall appearance hair, nails and skin. I forgot to mention I am 49 and I work long shifts at night so this has been a big deal for me! Give the drink a chance and I hope you all have the same results I have. GOOD LUCK! Can I use any cinnamon on this honey and cinnamon diet.on it for two days. 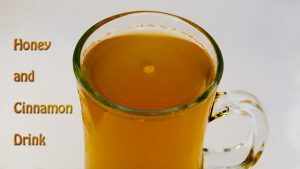 I have been looking at this honey and cinnamon drink thing for a while now and I have seen controversial on how it help and how it doesn’t work. But reading all these stories makes me want to start drinking this drink. Of course I will be doing some work outs and changing my diet but seeing that it has helped maintain and not gain weight and give energy. And the awesome health benefits on not getting sick is a big plus because I work in a place where illness spreads like wild fire. Hello… is it possible to just use cinnamon in making the tea… without honey?